Join us for a 4-day introduction into the fascinating world of Herbalism and Spagyrics. Learn the process of distillation for essential oils, making aromatic waters, infused oils and honey. 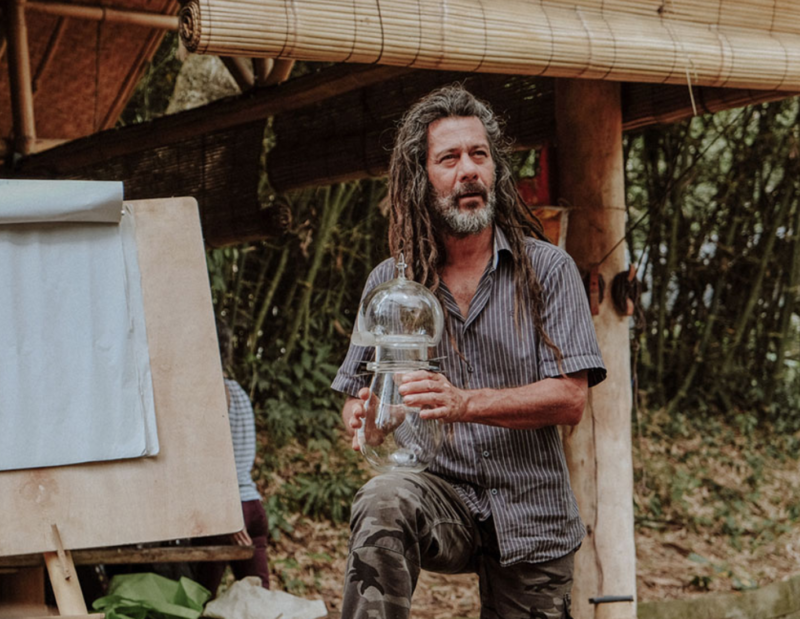 Experience first hand the power of plants with master alchemist Carlos Gallo, known to many, as Maestre Indio, from Escola de Espagiria in Brazil. Indio will guide us through the ancient practice of herbal medicine making, using the principles of Spagyrics. Spagyrics is a holistic approach to making herbal extracts, which consider the physiological, energetic and spiritual properties of the plant. In Spagyrics the plant is separated into its three essential elements- essential oils (in Spagyrics these are believed to be the soul of the plant), alcohol (the spirit) and ash (the body of the plant). Once separated, each element is recombined into a holistic and pure herbal tincture. During this course, we will focus on the first two steps of making these herbal tinctures. We will teach 1) the process of distillation to make pure essential oils and 2) the process of fermentation and putrefaction to make an alcohol to use for tinctures. On the last day, we will spend the day exploring different ways to use herbal medicine for practical home remedies and home care. This course is more than a practical home remedies course. Indio is a wealth of knowledge about working with plants and plant medicine. His work is somewhat of a revival of age-old traditions in alchemical medicine that is being sadly lost. The teachings contained within this course promote the expansion of our awareness and relationship with plants and the natural world. There is mystery, intuition and clinical research that makes for a well-rounded and profound course. 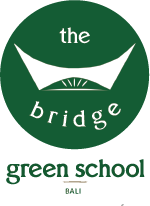 We are located in the little village of Sibang Kaja in Bali, just a 2 minute skip away from the renowned Green School. Our farm is filled with food gardens, rainforest trees and animals (pigs, chickens, ducks, Jaga (our dog) and Malam (our cat). Your ticket does not include accommodation on the farm. However, you can choose an accommodation option for an extra US $150 (including breakfast and dinner) upon booking. We have 8 bamboo yurts amidst our sugar palm grove. The yurts are shared and include fans, mattresses, fresh linens, lockers, composting toilets, and warm showers. Meals will be prepared fresh for you each day. Vegetarian and vegan options will be available at every meal. We are welcoming a maximum of 20 participants for this course. Please place your booking as soon as possible to ensure a spot. We understand that sometimes things happen. If you need to cancel your ticket we will give you a refund, less a US$ 50 admin fee 2 weeks prior to the start date of the course. Within two weeks of the course, no refund will be available, we will instead give you a credit note, less an admin fee of US$ 100, that you can use to participate in a future 2019 course.